Additional Info: We also include the use of 2 children’s and 2 adult mountain bikes, 2 large windbreakers and 4 camping chairs and a cupboard full of board games for all the family to enjoy. 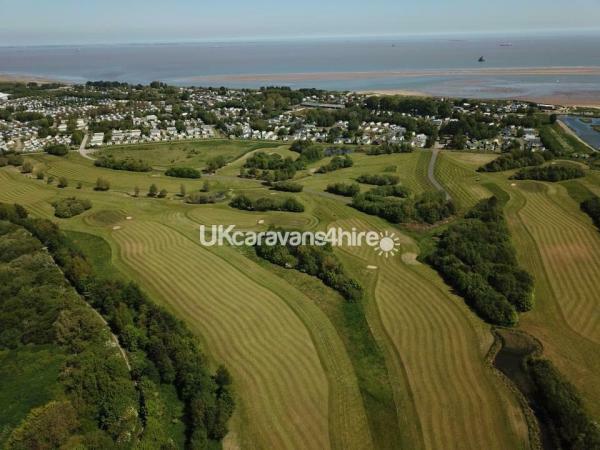 A set of golf clubs and trolley to enjoy our fantastic golf course ! Dates are confirmed with a £50 non refundable deposit with Balance to be paid within 4 weeks of arrival. A returnable £75 Bond is paid with balance to cover damages, loss of keys and excessive cleaning requirements. Monthly payment plans can be arranged. Bond is returned within 3 days of departure. Check in is from 15:00 on day of arrival. Check out is by 11:00am. Strictly No smoking inside the caravan. 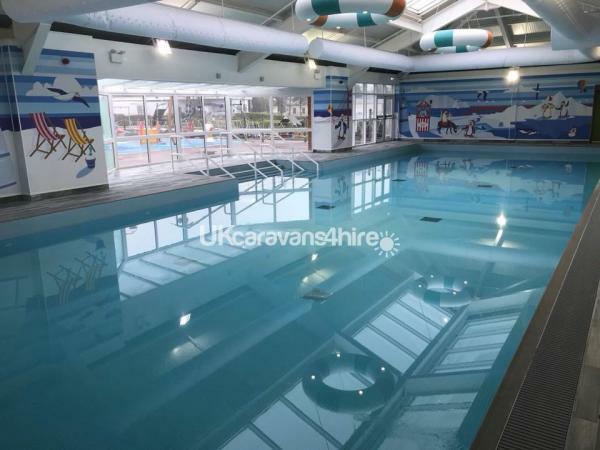 Our caravan is 3 bedroomed, 8 berth, pet friendly, fully serviced and fully equipped. There is a double bedroom and 2 twin rooms where all beds have memory foam toppers for extra comfort. A pull out bed is also available in lounge area if 8 berth is required. In the large lounge we have a gas fire, large TV, DVD player, USB plug points and a coffee table. There are 2 toilets, one is a bathroom with large shower, sink and the other is a small closet toilet with small sink. The kitchen has a fridge with small freezer, gas cooker, microwave, toaster, kettle and is basically fully equipped for your holiday needs. Our 'Home from Home', treasured Caravan is fully equipped for a fantastic, active holiday for all your family! Additional Info: An action-packed time awaits you here, with lots to see and do for the perfect seaside holiday. 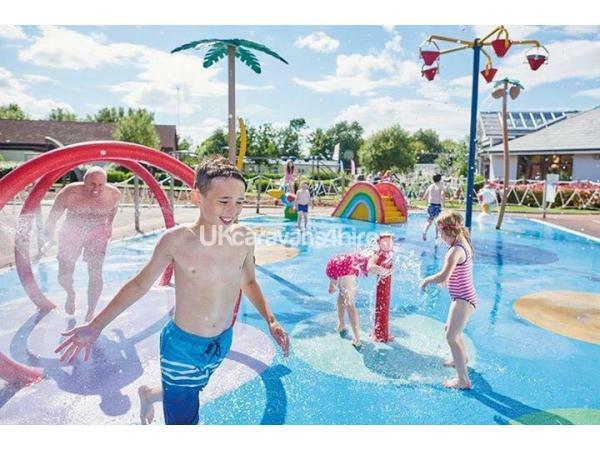 Thorpe Park in Cleethorpes is the holiday park to go to if you’re looking for a well-deserved break. 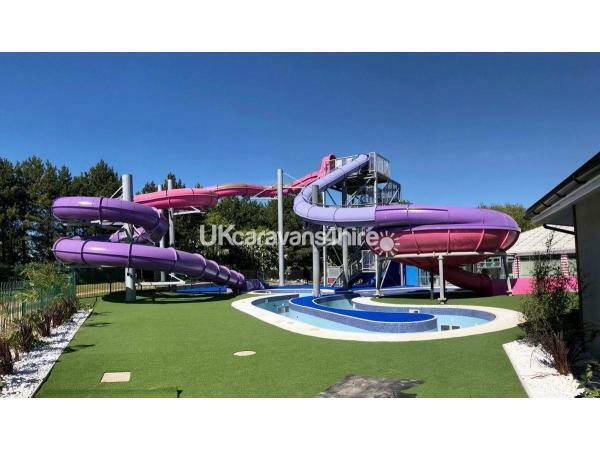 The park has everything you need for a fun family holiday, including 2 heated indoor pools, water park with 2 massive slides and Lazy River and Outdoor jacuzzi, a climbing wall and a beautiful sandy beach just minutes away. If you’re in the mood for some more relaxing activities, why not enjoy a round or two on our 9-hole golf course, or spend some time fishing in our 2 ponds with big carp and loads of roach, bream, perch and chub. And the fun doesn’t have to end as the day draws to a close, as there’s lots of live entertainment to be enjoyed and the bars and restaurant where the whole family can get together for a delicious meal. Caravan was brilliant and had everything we needed for our holiday, even the condiments, tea, coffee, sugar was provided for us. The beach is 5 mins away and is lovely and our dog loved it. We spent most days on it with the provided wind breakers and camping chairs we set up our picnic base and had a great time. The complex was only a short walk away but was very noisy and extremely busy. Thank for a great holiday at a fantastic price, Lorraine. We will be back in 2018. Caravan is very highly recommended and the owners are fantastic ! Thanks Sarah. We look forward to seeing you again. Brilliant holiday caravan with everything we needed.... the kids had a action packed holiday!! Our large family had a very relaxing stay in Lorraine's caravan. The location is perfect only 5 mins to beach and it was so quiet on Fern Walk. The caravan had everything we needed and the beds were so comfortable. Thank you so much for letting us stay and we look forward to returning again soon. Awww thanks Jodi x We look forward to seeing you all again next year. Take care till then. We had a fantastic holiday in Lorraine's caravan. There was so much on site for all of us to do !! The caravan has everything we needed especially on those rainy days with loads of games and DVDs to watch. We had everything we needed to set up on the lovely sandy beach with the wind break and chairs provided and the kids had great fun playing with the kites!! Thank you so much for a great value holiday. We will be back and highly recommend the caravan and the site!!!! !